WASHINGTON: The National Park Service is trying to keep exempt its safety personnel from President Donald Trump’s 90-day federal hiring freeze, but park advocates and former NPS employees worry that without the 10,000 seasonal workers who may be cut through attrition, visitors won’t be safe and parks could suffer environmental and economic hits. Trump’s signed memorandum stated no federal agency can fill vacant positions or create new ones for 90 days, when the Office of Management and Budget will present a long-term plan to reduce the size of federal government, which is less than 2 percent of the total U.S. labor force. National Park Service officials have been warning that the country’s parks are so understaffed that routine maintenance can’t be done and the safety and enjoyment of park visitors is suffering. They also have pointed to a $12 billion backlog in maintenance projects. According to the million-member National Parks Conservation Association, NPS had more than 10 percent fewer employees in 2015 compared with five years earlier, and park staff have already been performing “collateral duties” beyond their jobs. The park service said in a statement it will work with the Department of the Interior “to ensure that personnel responsible for the safety and protection of our visitors and park resources are exempt from this hiring freeze.” This exemption proposal would likely include wildland firefighters, but not seasonal employment, which comprises 10,000 workers who NPS called “critical” to “quality and safe experiences” for peak visitation. “If the freeze applies to those people, it will have a huge impact on parks’ ability to serve the public,” Finnerty said. According to Finnerty, who is a former superintendent of Olympic and Everglade national parks, parks have already done a lot of consolidating to cut costs. Smaller parks are put under bigger parks, and some administration positions are shared. “Further squeezing is going to be devastating for the organization,” she said. White House Press Secretary Sean Spicer falsely claimed at his first press conference this week that the “squeeze” by attrition “counters the dramatic expansion of the federal workforce in recent years.” In reality, the federal workforce has remained more or less stagnant since the 1960s. But national parks are having trouble keeping up with double-digit visitor increases because of a lack of staff; in 2016 for example, Zion National Park had to accommodate a nearly 18 percent increase in visitors. Meanwhile, rogue Twitter accounts have sprouted up claiming to unofficially represent different government agencies, including the park service. The National Park Service, Badlands National Park and the Environmental Protection Agency are among the accounts started by scientists, journalists, park rangers and activists to tweet about climate change and speak out against the Trump administration. On Thursday, the rogue Badlands account fired off a #climatefacts Twitter storm that trended on the site. 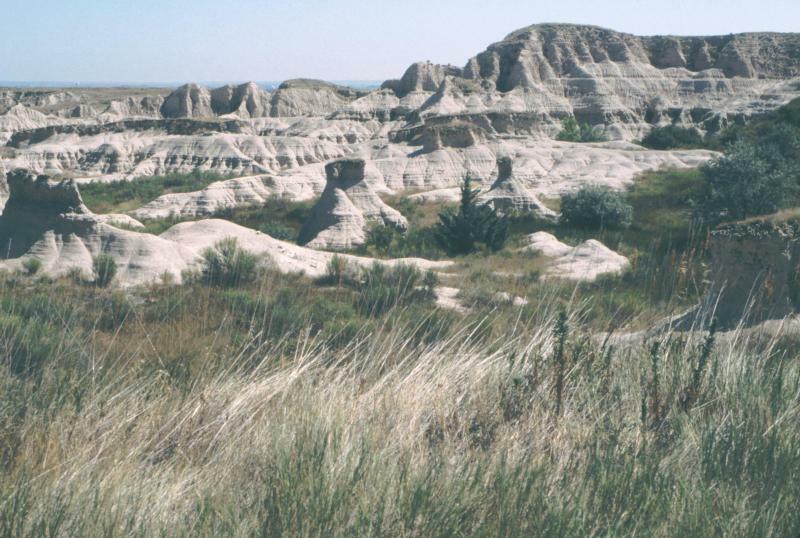 The official Badlands account was “compromised” on Tuesday by a former employee who tweeted facts about climate change, park officials said. Before they were deleted, the tweets were screen-captured and shared thousands of times.